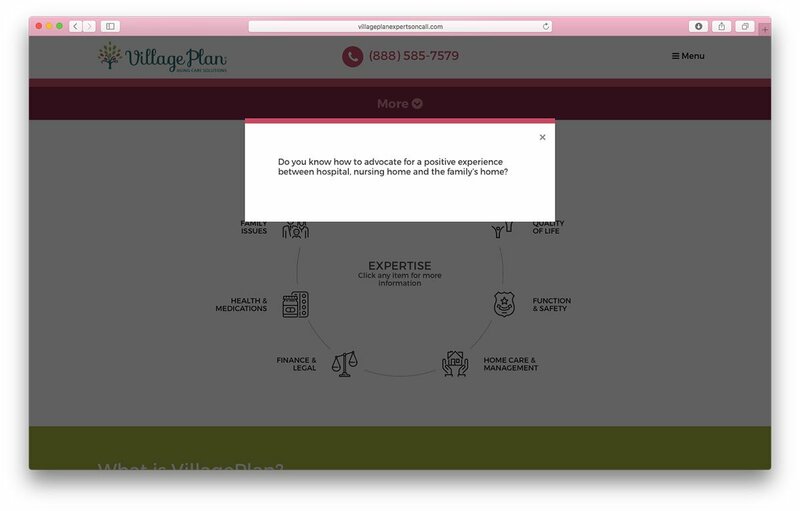 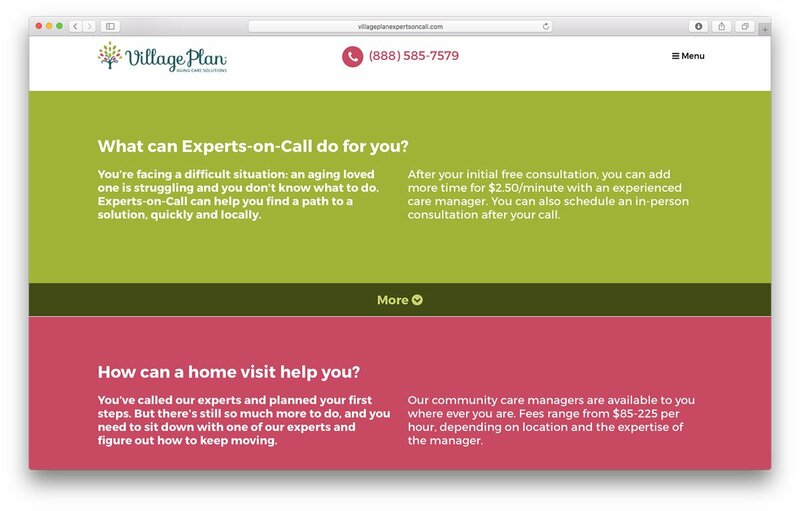 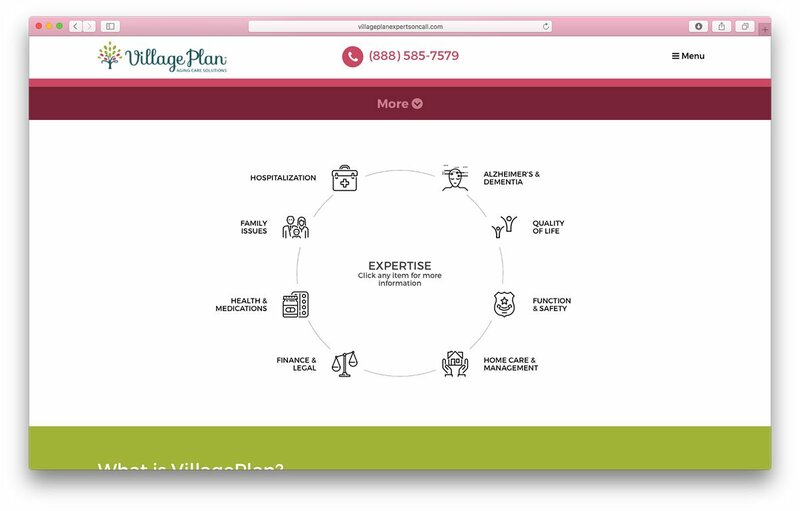 I designed, developed and implemented this micro-site for VillagePlan's Experts on Call program. 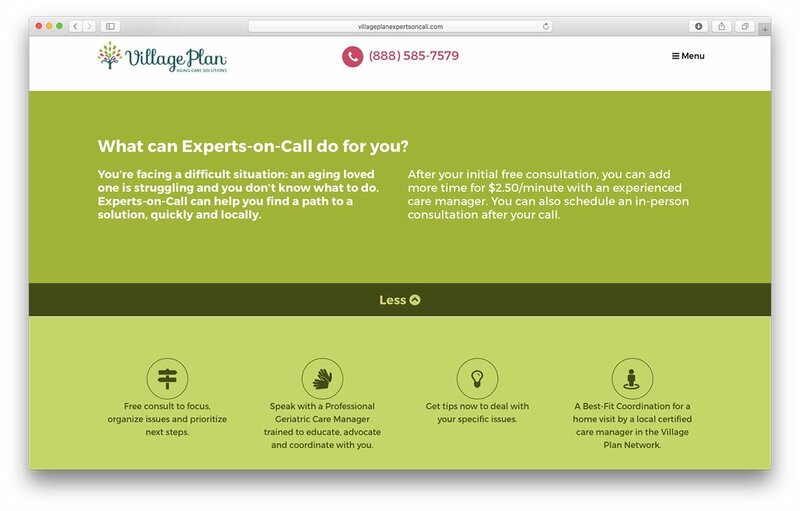 The Village Plan blog needed a micro site to highlight their experts on call program. 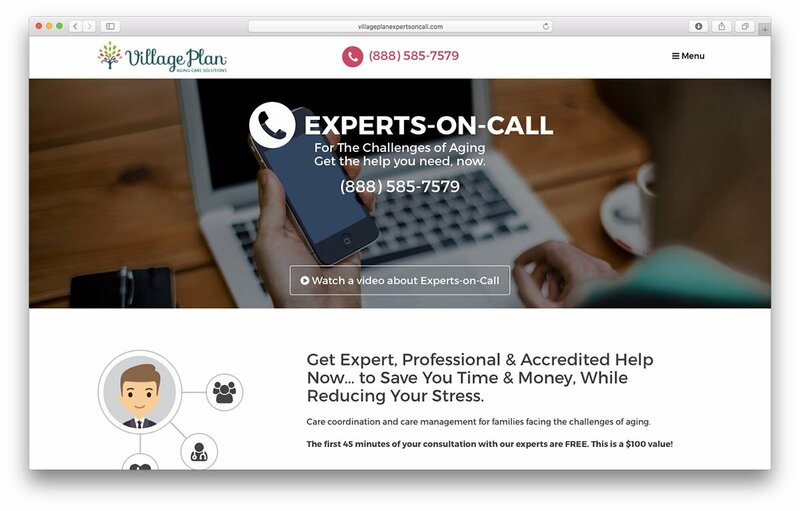 They needed a single-page landing site to direct organic and PPC traffic that would generate conversions and calls.